They are cheap. Yes, they are. You can buy them at low, low prices either online or offline. Make a bulk purchase and you’ll get even more discounts. They are useful. Studies show that everyday items like book matches, coasters, shirts and so on still top the list of desirable promotional items. They are light. Or, shall we say they give light? However you put it, these promo items are small and lightweight, making them easy to put inside pockets, bags, purses or wallets. They give your brand multiple exposures. 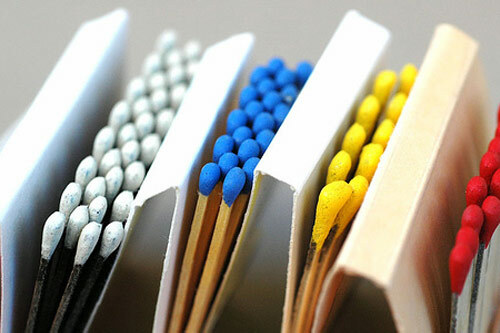 For example, if a customer uses your custom book of matches to light the candle of his co-worker’s birthday cake, each well-wisher will see your brand. And that’s for just one or two matchsticks! Same goes when a group of campers light a bonfire with your book of matches. Collectors want them. Yes, they do. They display them in fish bowls where their family and friends can see their adorable collection. And as with other collectors, they swap items. This means that new sets of eyes will see your brand. Call that free advertising several times over. These are just some of the reasons why custom book matches should be a part of your marketing campaign. As you go along, you’ll find that these promotional products can help boost your profits as well.